Sometimes in our rush to get to the next version of CATIA or cleaning up our machines we delete the CATIA Code directory. This is ok to do but you must remember to clean up the registry. 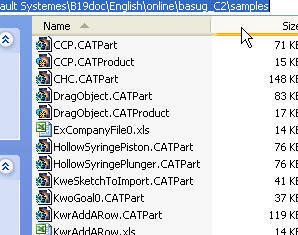 One of the things that can happen is that the File Association for CATIA Parts/Products/Drawings can become confused. This is evident because when you see the file in the Windows Explorer it isn’t the cute little Dassault Icon. Also when you double click on it Windows asks you want you want to do with it. 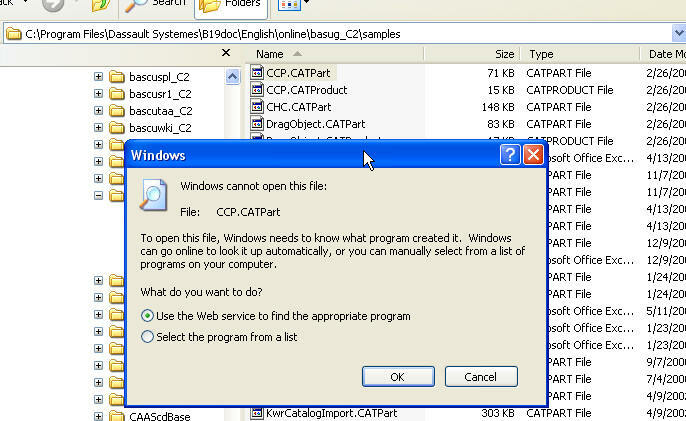 To fix this you can either select CATIA from the Program List for each and every CATIA document (And there are loads of them) or you can open up a command prompt and change directories to the CATIA code bin folder. After a reboot the files are now associated and you can go back to clicking on the Part/Product/Drawing. CATIA PLM Weekly Email 0906 – make a CATIA client a LUM client.